officially spreading its wings as an international airport in 1958, its traffic overcome that international flights had to reroute to the new inCheon international AirPort by March 2001 .
the new airport formed from filling 3 islands was a whopping 2-hours drive away from its serving capital like Narita Airport in neighboring Japan, thus City Air Terminal’s in-city check-in facilities – already open in 1990 – was vital than ever . 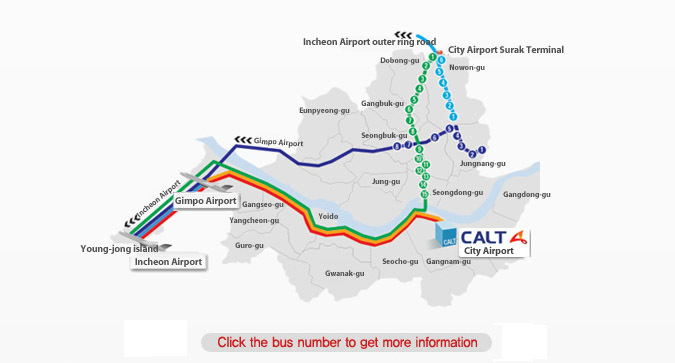 you check-in your luggage here and lightly take one of their limousine bus on a calm river-side scenic drive aside the Han River which pass through the city like the Seine and Thames, to reach inCheon AirPort almost an hour-an-a-half . its drive-time reduced thanks to drivers exchanging live traffic situations . still this was located among the vast COEX Korea Exhibition shopping complex which is further South in the posh KangNam area South across the Han River from downtown Seoul where a major real estate boom mounting to the Seoul Olympics rose tall building businesses among wide roads . 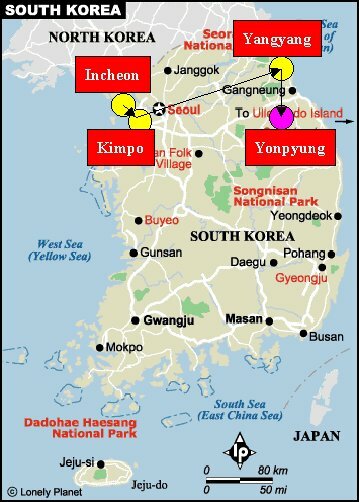 all this time, passengers traveling from downtown Seoul had to take other limousine buses including those operated by Korean Airlines which made various stops all over town . meanwhile old train stations which were landmarks throughout the Korean War were re-built to dure tasks of the belated opening of KTX bullet train throughout the Korean Penninsula from April 2004, and now most of the larger double as KTX station built-in among massive shopping complexes . but much unknown to the general public the first downtown Seoul to inCheon international AirPort express train started end of December 2010 . it is built deep underground the former rear (West) entrance of Seoul Train Station and even over the year 2012 is pleasant form of transportation because not many people use it compared to the long lines at check-in queus once at the airport . 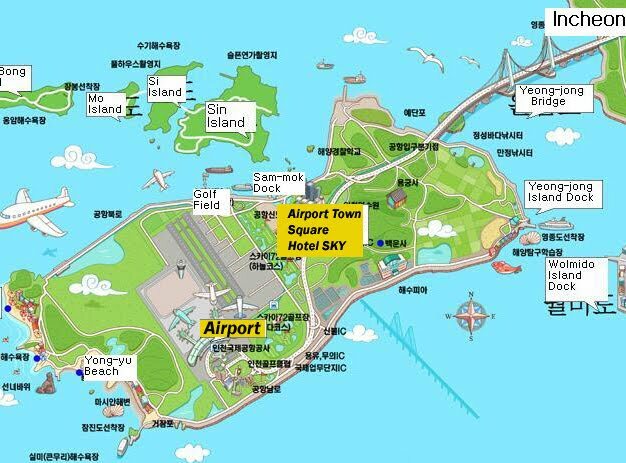 the only caveat is that although you can reach inCheon AirPort in 40 minutes flat, early check-in service at the train station is still limited to Korean Air, Asiana and JeJu Airline . 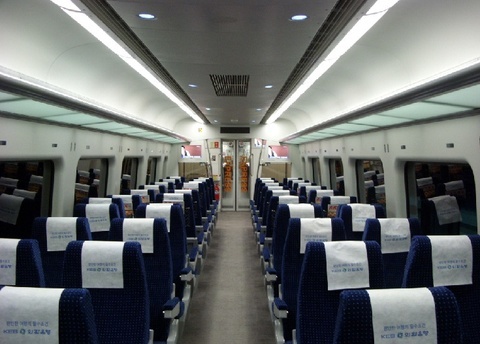 direct SEOUL-to-inCheon AirPort express trains leave about every 30 minutes to zap you to the one of the most grand international airports in the World in 43 minutes-flat . fare between Seoul Station and inCheon AirPort is a rather expensive W13,900 but consider the limusine buses from much further City Air Terminal was W15,000 for adults ..
but once at the airport expect quite a walk because the train station is built under the space-ship form gigantic parking space although it has automated walks in between .